This black and white photograph shows General James Gillpatrick Blunt in a military uniform. 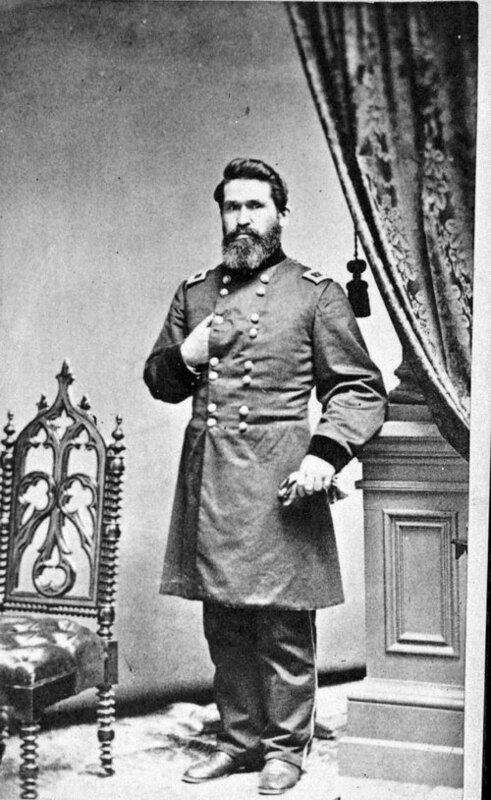 Gen. Blunt commanded Union forces during the Civil War in engagements such as the Battle of Old Fort Wayne, the Battle of Prarie Grove, the Battle of Honey Springs, and the first and second Battle of Newtonnia. At the end of the Civil War, Gen. Blunt commanded the District of South Kansas. James Gillpatrick Blunt's portrait can be used to help introduce students to Gen. Blunt's accomplishments during the Civil War. In addition, Blunt's portrait might be used when discussing important events in Kansas during the Civil War such as Quantrill's raid and Price's invasion.